I really like Easter feathers. They look like candy at the flower's market, and - yet again - it is something that brightens up this grey month. I am really REALLY happy spring is around the corner now. 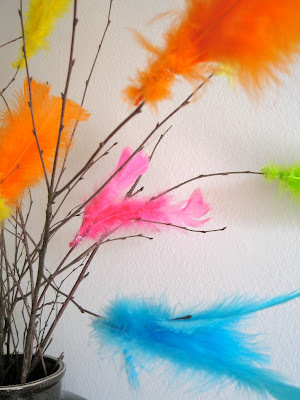 To make this holiday season a little bit longer, I usually decorate the branches with feathers only at first. A few days before Easter, I add the other decorations. 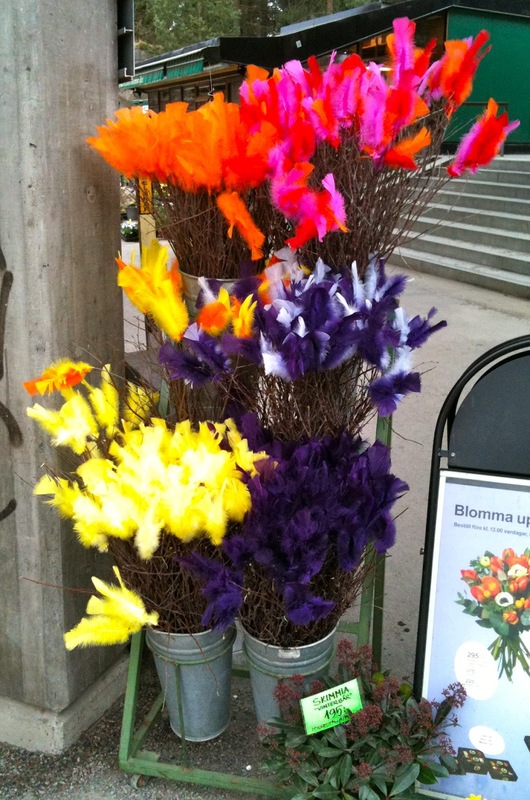 Swedish Easter decorations come in bright colors, you can buy the branches "ready-made" at the market, or buy feathers and decorate yourself. Inside and outdoors, if you like. 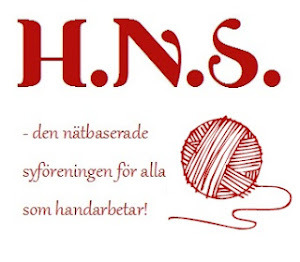 Summary in Swedish: Jag gillar påskfjädrar. Gillar deras glada färger och att de ser ut som smågodis.